Now that winter’s here, the cold weather, dry air and harsh winds can leave your lips chapped and cracked. Caring for rough, dry lips can be difficult, but luckily, there are several products available to soothe and hydrate your skin. Joel Schlessinger MD’s recent presentation on frequently asked questions about chapped lips highlights several recommendations for moisturizing products proven to help keep your lips soft and smooth. For specific treatment options, make an appointment to see your local dermatologist. What do you use to keep your lips hydrated? Share with us in the comments. Ranbaxy Laboratories has launched Absorica, a drug used to treat recalcitrant acne, in the United States. Joel Schlessinger MD is excited about this new and effective treatment for acne. Currently, generic forms of Accutane are not much less expensive than the brand name drug, so it is still unaffordable to many patients. Have you ever tried Absorica or Accutane? Tell us about your experience in the comments. Keratosis pilaris is characterized by dry, rough patches and small bumps on the back, arms, thighs and other areas of the body. 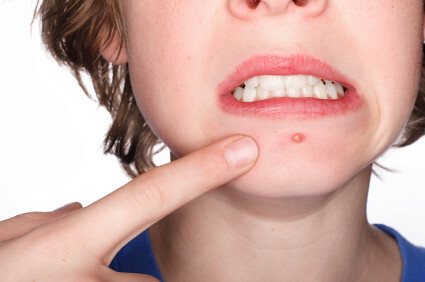 These small bumps form when obstructed hair growth patterns cause the skin to become congested. Keratosis pilaris is generally worse during the winter, but luckily, there are several products available to treat this common skin concern. Joel Schlessinger MD’s recent presentation on frequently asked questions about keratosis pilaris highlights several recommendations for exfoliating products proven to help minimize these dry, rough patches of skin. For personalized treatment options, you should make an appointment to see your local dermatologist. What products do you use to treat keratosis pilaris? Share with us in the comments. Rosacea is an extremely common condition that causes the skin to appear red or flushed and can also be a type of acne in mature patients. During this educational video, Joel Schlessinger MD explains the importance of finding the cause of your rosacea. While this condition can often be cleared, some cases of rosacea do not go away. Joel Schlessinger MD spotlights a few great products that can be used to either cover or treat redness associated with rosacea. Learn more about this condition and how to minimize its affects by watching this video. If you need help with your rosacea treatment, schedule a consultation with Dr. Joel Schlessinger and Skin Specialists PC today. Melasma is a form of hyperpigmentation often caused by uncontrolled exposure to sunlight or pregnancy. This patchy discoloration, usually appearing on the cheeks, nose, upper lip and chin, is a common skin condition for many women between the ages of 20 and 50. Fortunately, there are several products available to help diminish these dark spots. Joel Schlessinger MD’s recent presentation on frequently asked questions about melasma discusses the causes of this condition and highlights several recommendations for products proven to help minimize dark spots. For specific treatment options, you should make an appointment to see your local dermatologist. How do you treat melasma? Share with us in the comments. Dark circles form under our eyes as the delicate skin becomes thinner and more fragile, exposing tiny blood vessels under the surface. These dark under eye circles can cause the complexion to look fatigued, but luckily, there are several products available to help minimize this common sign of aging. Joel Schlessinger MD’s recent presentation on frequently asked questions about dark eye circles discusses several recommendations for products proven to help diminish the appearance of dark circles. For personalized treatment options, you should make an appointment to see your local dermatologist. What do you use to minimize dark under eye circles? Share with us in the comments.